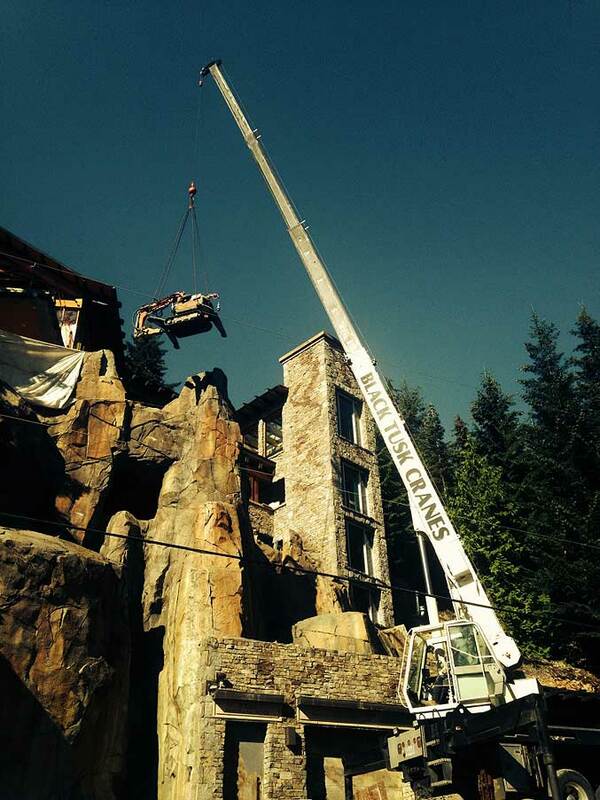 At Black Tusk Cranes Ltd, levitation is our occupation. 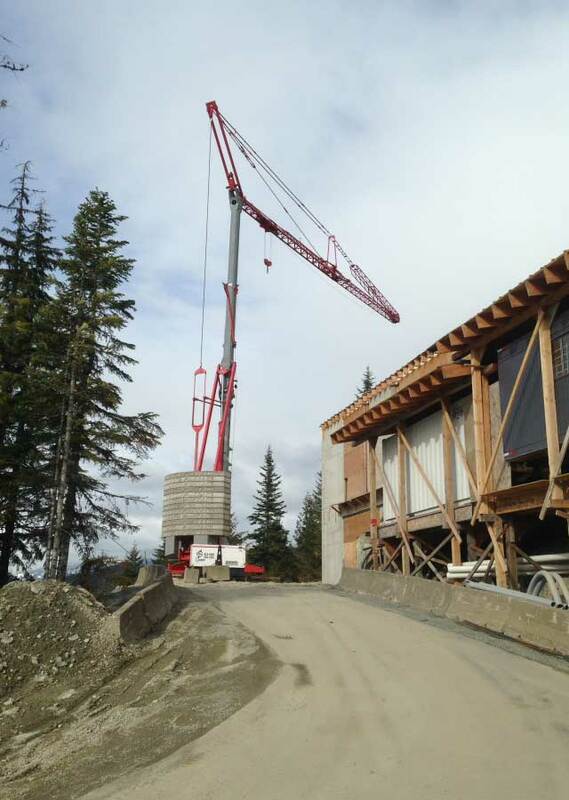 We supply cranes with and without operators to residential, commercial and industrial customers in the Squamish and Northwest Vancouver area. We can take care of all your needs, from putting a hot tub in the backyard to craning in furniture to building construction. Our operators and staff are prompt, courteous and professional. Black Tusk Cranes functions on four basic principles — safety, service, care of equipment and customer satisfaction. 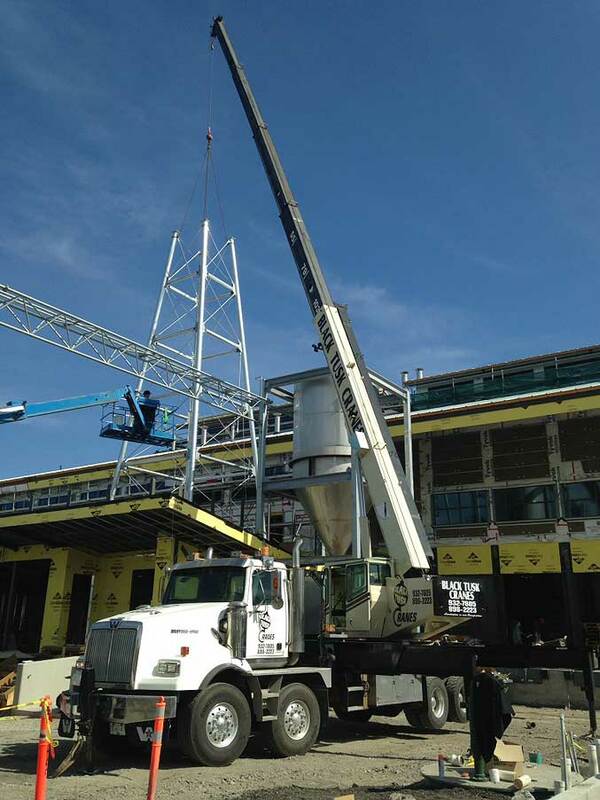 We are fully insured and our operators are all certified crane operators. Our equipment is all certified, as well. Black Tusk has been serving the Sea-to-Sky Corridor for quite awhile and our reputation speaks for itself. Our travel time to North and West Vancouver is fast and we offer 24 hour service. Give us a call or email us if you want to know more about what we can do for you.